Bobcat's Motorsports delivers high quality products and services. Customer satisfaction is our top priority! NEW ARRIVAL ~TaoTao 125cc Premium Dirt Bike DB27, 4 Speed Manual with Clutch, Foot Shift, Dual Disc Brakes, Kick Start, Inverted Forks, Top Speed 38 mph. For experienced riders ages 16+. NEW ARRIVAL ~TaoTao 125cc Dirt Bike DB17, 4 Speed Manual with Clutch, Foot Shift, Dual Disc Brakes, Kick Start, Top Speed 37 mph. For experienced riders ages 16+. NEW ARRIVAL ~Experience extreme Off-road excitement in this all new 2018 BMS Sniper 1500cc buggy. Powered by a High Performance 4-cylinder fan liquid cooling engine with Electronic Fuel Injection (EFI). Peak power production of 108 horsepower! Electric Power Steering. Shaft driven. Adjustable shocks and Independent suspension! 5-speed manual transmission with reverse for fast acceleration and total driving control. 5-point safety seat belts. 3000 lbs front winch. Rear tow hitch. Full LED lighting, full roof and front A arm guards. 29" Monster tires. AM/FM radio; Extra capacity 8 gallon fuel tank for extended range and fun! 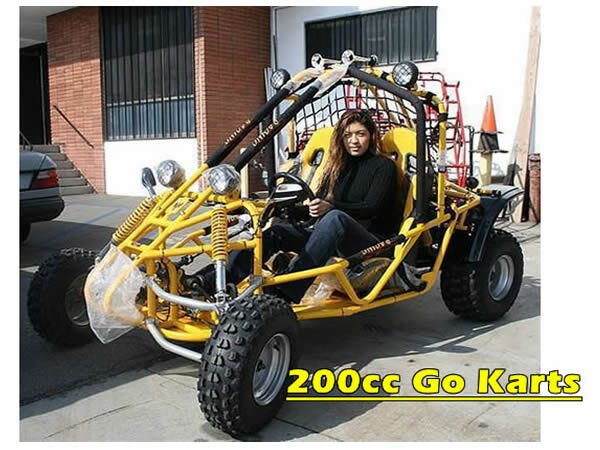 NEW ARRIVAL ~The TaoTao "Jeep Auto" 110c Go-Kart is designed for children 9+. 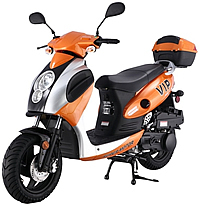 This Family Friendly model is Safe, Fun, and Easy to Drive, will safely carry two small riders. Automatic transmission with reverse, Bright lighting. 4-Point racing seat belt harnesses. Adjustable seat. Governor behind the gas pedal to control the speed from 15 to 35 mph. 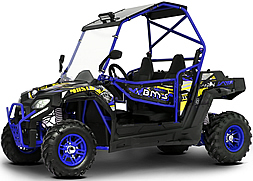 NEW ARRIVAL ~Experience extreme Off-road excitement in this all new 2018 BMS Sniper 1500cc 4-seater dune buggy. Powered by a High Performance 4-cylinder fan liquid cooling engine with Electronic Fuel Injection (EFI). Peak power production of 108 horsepower! Electric Power Steering. Shaft driven. Adjustable shocks and Independent suspension! 5-speed manual transmission with reverse for fast acceleration and total driving control. 5-point safety seat belts. 3000 lbs front winch. Rear tow hitch. Full LED lighting, full roof and front A arm guards. 29" Monster tires. AM/FM radio; Extra capacity 8 gallon fuel tank for extended range and fun! NEW ARRIVAL ~The ICE BEAR 125cc Thunderbird Jeep Go-Kart (PAZ125-1) is designed for children 10+ and small adult riders. 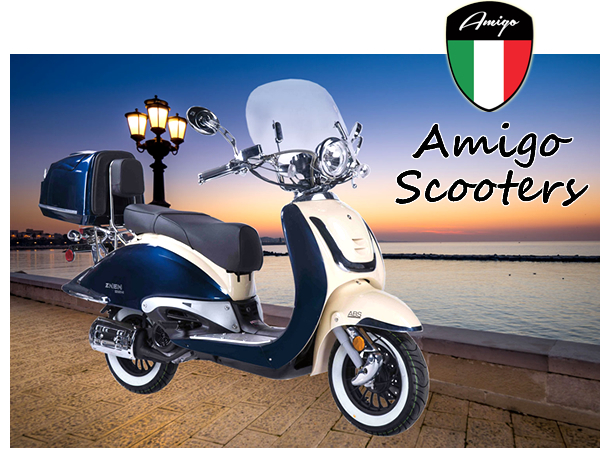 This model is Very Fun, and Easy to Drive, will safely carry two smail riders. Semi Automatic 3-speed with reverse, no clutch. Bright lighting. Adjustable seat belts. Adjustable Throttle to Control the speed for extra safety. 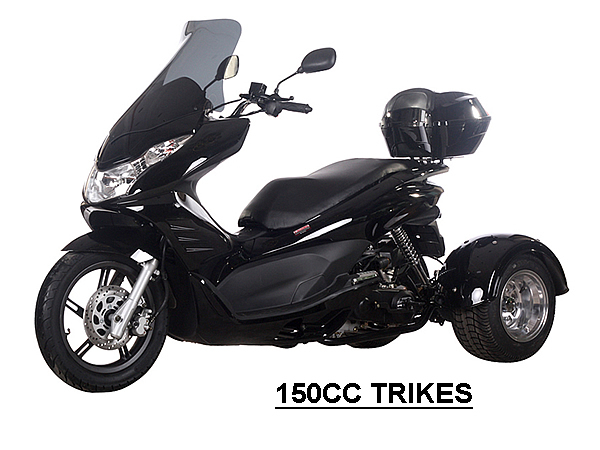 NEW ARRIVAL ~Redefine the meaning of your lifestyle with the brand new TAO TAO 150cc POWERMAX-150 Scooter. Comes with Free rear trunk, Free helmet, Dual shock suspension, 12" Tires, Disc Brake, Most popular & Unique body design, 10 Horsepower! ICE BEAR Motor Trikes: The fun and dependable transportation that you have been looking for! Copyright © Bobcat's Motorsports. All Rights Reserved.